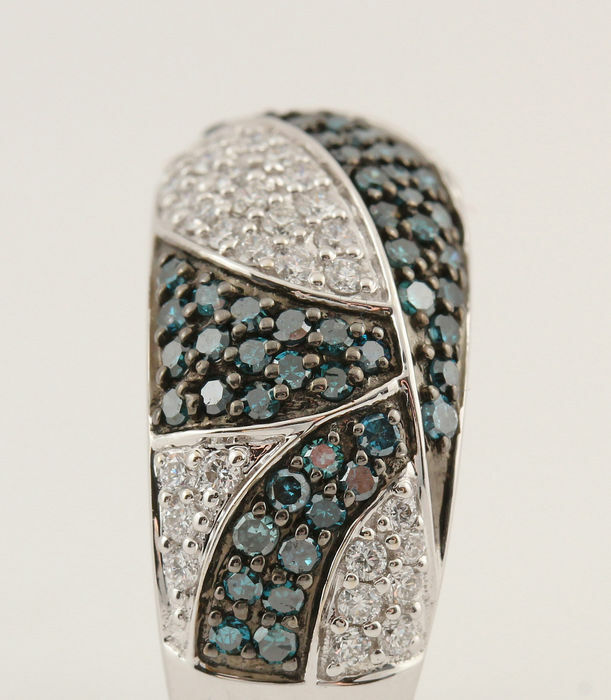 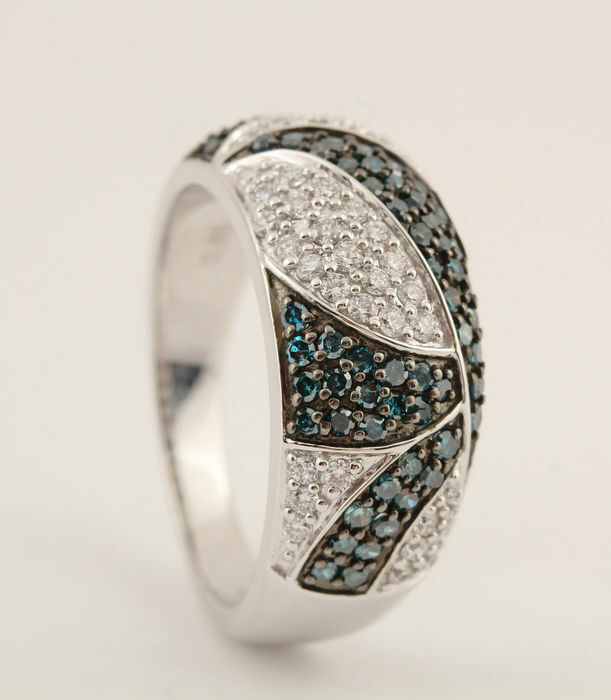 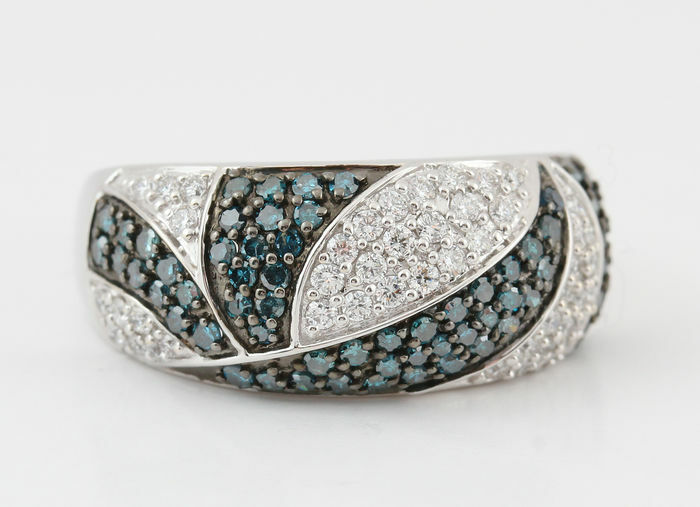 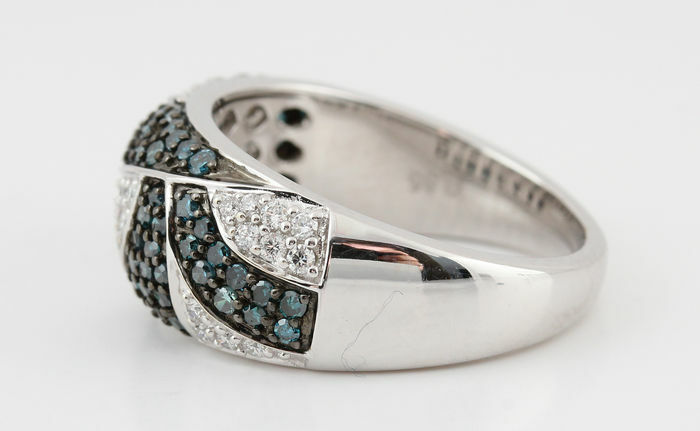 Ring decorated with 65 blue brilliant-cut diamond total. 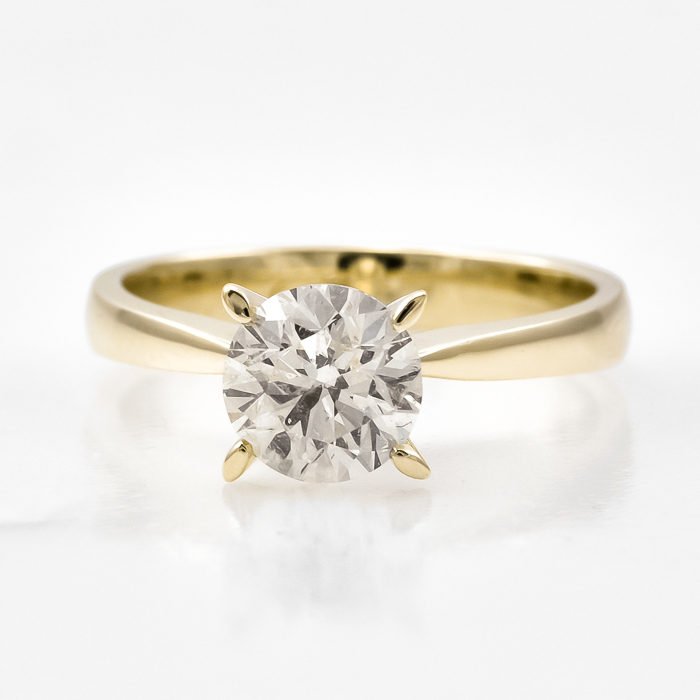 0.35ct. 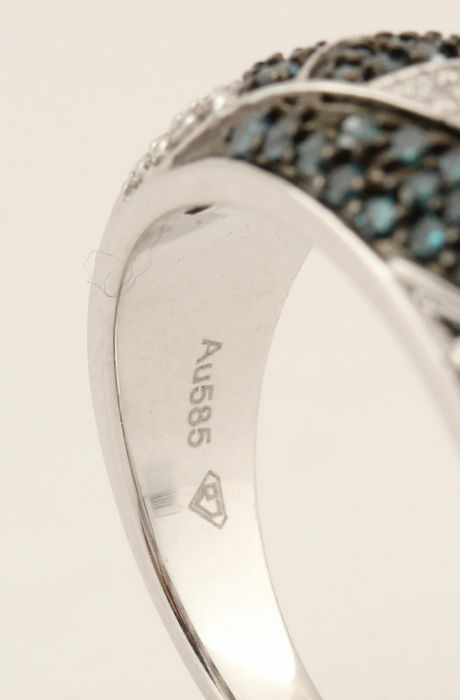 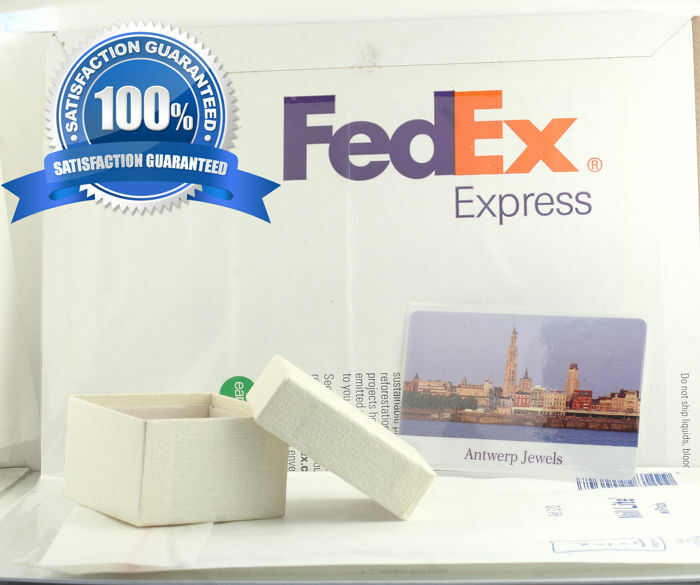 Also decorated with 47 white brilliant-cut diamonds total 0.50ct. 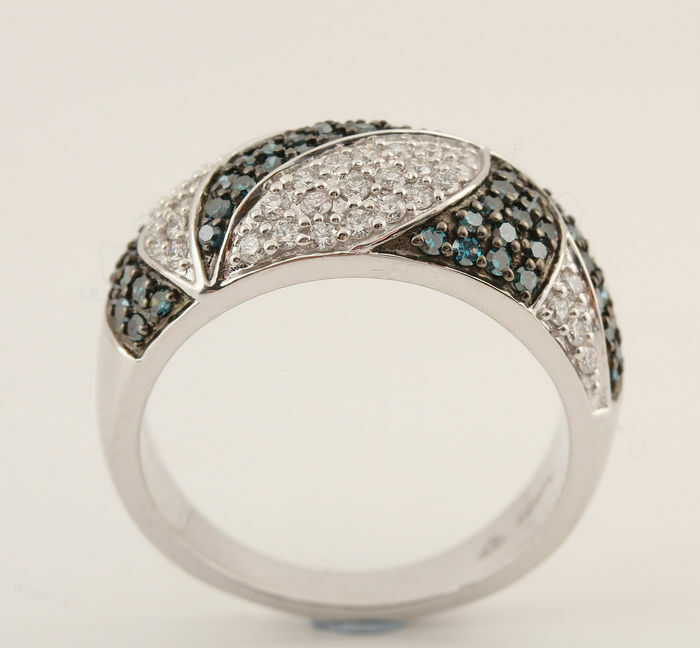 Colour: Top Wesselton-Wesselton (G-H) & blue common heat treated .